I’m a big fan of Game of Thrones and one of the leads Kit Harington (John Snow) is finally making his way into a mainstream theatrical release. 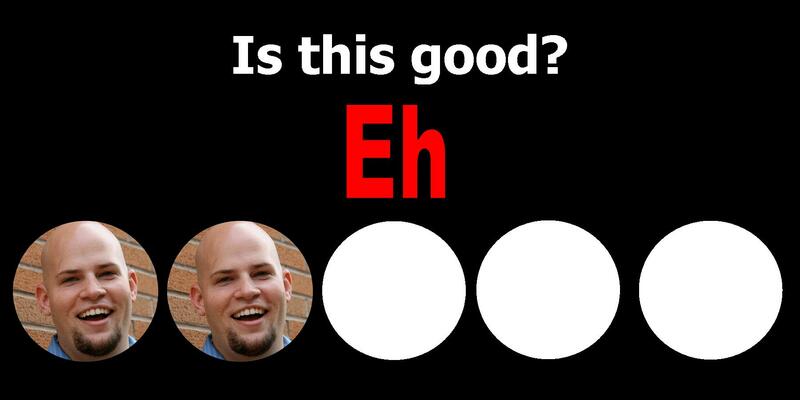 Yes, he looks and acts exactly the same, but it’s still his chance for mainstream attention. His supporting cast sounds impressive on paper, including Keifer Sutherland (24), Carrie-Anne Moss (The Matrix), and Emily Browning (Sucker Punch). So can this movie succeed? The gist is that Kit Harington stars as “The Celt” for most of the movie, the last of an ancient tribe who were slaughtered by the Romans. The Celt saw this tragedy and now seeks revenge, however he’s confined to gladiatorial arenas. 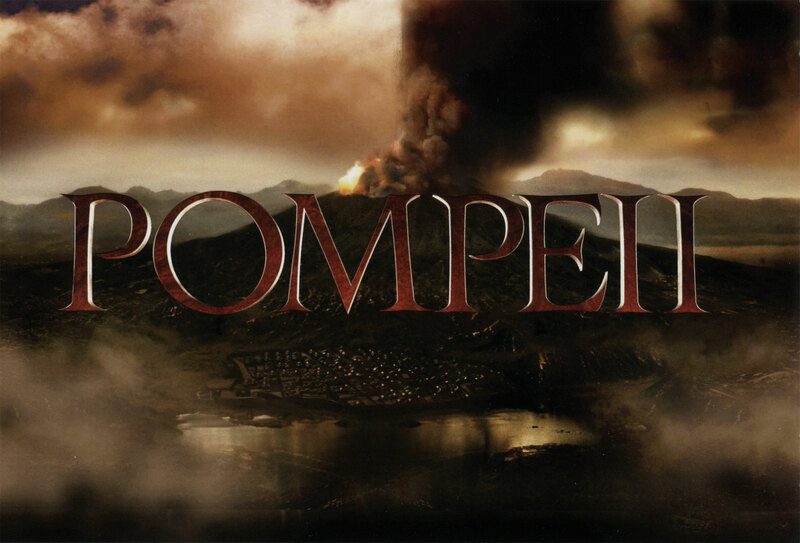 His fighting skill has promoted him to the city of Pompeii, where the princess (Browning) starts to fall for him. At this point, Roman Senator Corvus (Sutherland) comes to town and things start to go downhill. Harington befriends fellow gladiator Atticus (Adewale Akinnuoye-Agbaje from Lost) and they work together to fight the Romans. Oh, and a volcano erupts. Kit Harington does the best he can with the source material, but as I said above, it’s basically the same character from Game of Thrones. Brooding, loner, better fighter than everyone around him, kind of looks sad all the time. 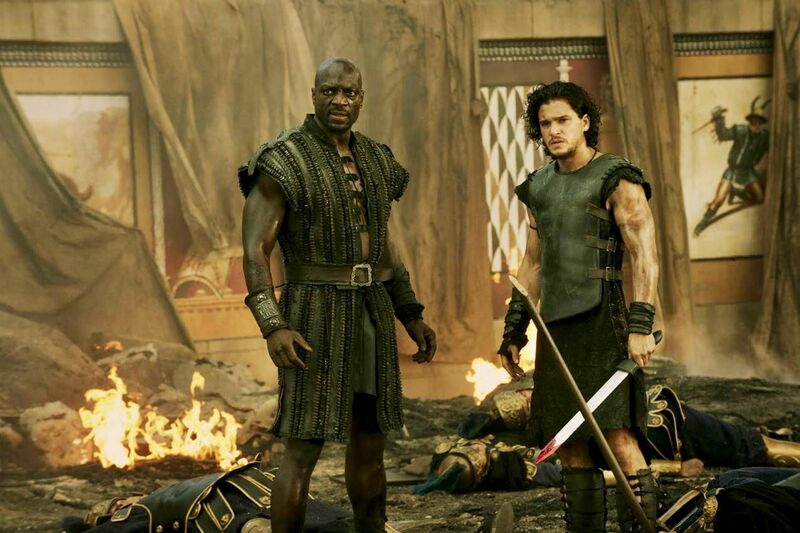 The real standout is Adewale Akinnuoye-Agbaje, who stole every scene he was in. I cared more about his gladiator than I did about our main hero. Adewale was also in Thor: The Dark World recently, so hopefully he starts to gain some mainstream recognition. The effects were decent, especially the volcano effects. It looked cool, in the final bit of the movie as the volcano erupted. This isn’t a spoiler because it’s history. It’s not a spoiler to tell people that the Titanic sank. Let me start at the very basic level with the script. The dialogue is horrible and the exposition is heavy-handed. And I don’t know why we have a romance story here. It’s the same major fault I found in The Legend of Hercules recently. It could’ve been an incredible action movie but it gets sidetracked with these sappy romance sideplots. Now, I don’t mind that, when it makes sense. The Titanic was pretending to be an action movie. This is. Now, is it a good action movie then? No. The fight scenes are atrocious. The cuts are so quick that you never see a blow hit. It’s like the actor in the scene (or maybe the choreographer) was so inept that they could only remember one motion at a time, so they’d teach a motion, shoot it, and then pick up from that moment. It made my head hurt and you eventually realize that the fights lack any sort of punch (pun intended). In a movie that focuses its entire first-half on gladiator fights, having weak combat is inexcusable. As a whole, I was also generally un-entertained. Within the first 20 minutes, I already brought out my phone to check the time. Luckily, the movie only clocks in at ~90 minutes. The action was sloppy and the romance unnecessary, which left very little of the movie to be redeemable. It shouldn’t surprise me that this movie is bad. It was only playing at two times and there was only three people in the theater with me, on a busy Saturday afternoon. This movie feels like a straight to TV movie from Asylum Pictures. But nope, they’re even making a worse version of this movie here. Maybe it’ll embrace what it is and might turn out to be a better movie. Don’t see this. If you want action, see RoboCop. If you want escapism, see The Lego Movie. There’s no reason to see Pompeii. This entry was posted in Movies and tagged adam ryen daniels, adewale akinnuoye-agbaje, carrie-anne moss, emily browing, game of thrones, i am your target demographic, iaytd, john snow, keifer sutherland, kit harington, lost, movie review, pompeii, pompeii movie. Bookmark the permalink.